Josey Jacobsen has survived losing her true love...twice. When Archer Grayson walks into her life a third time, Josey must choose between letting him go or taking one more chance on love. As a two hundred year old vampire in New Orleans, Josey has seen her share of stories. However, none are as tragic as her own. She falls in love with the same man only to have him die in her arms each time. Afraid of history repeating itself, Josey decides to push him away. However, Archer wonâ€™t be easily deterred. Heâ€™s determined to pursue her, no matter the cost. What if this time itâ€™s different? Is there a chance for them to change their destiny? Or will this time destroy them all? 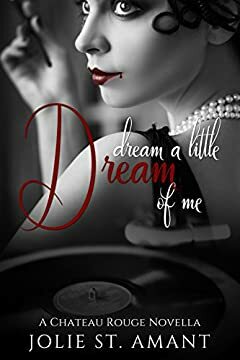 Dream a Little Dream of Me is intended for fans of The Originals and the Sookie Stackhouse Series. Buy now to start reading the first novella in this enchanting romance series!